Sweet! Music to your ears, for sure! Have a great Sunday! HI and hope your weekend is going well. 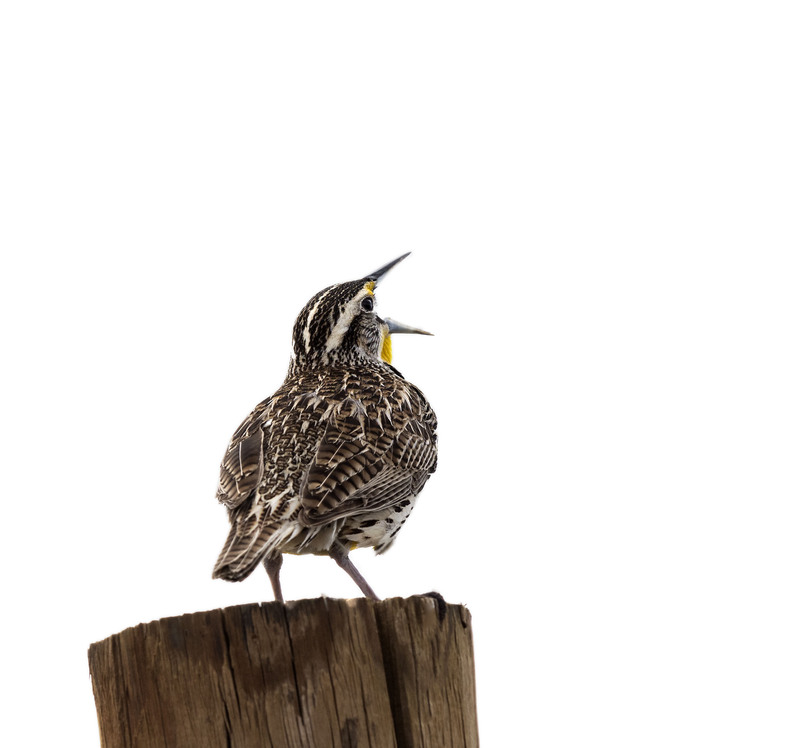 Sitting and just listening to the Meadowlark sing on a sunny spring day is about as good as it gets. How true! The weekend is going well! They have such a wonderful song that hearing is just as delightful as seeing these guys. After the long winter, it is such a treat to just sit and listen to birdsong. We brought out our lawn chairs yesterday for just that purpose. Hope your weekend is going well! Hi Eliza, sitting and listening in your lawn chairs sounds like a nice way to spend a bit of weekend time. I always look forward to when it warms up enough to cack open the windows and hear the birds as well as see them. Sound adds so much to the experience. It is always a wonder to observe. A small bid just opens its mouth and a song so loud and beautiful comes out in what appears to be effortless fashion. That’s so beautiful, Mike. Love the contrast. Thanks Graham, the splash of color against a grayish/white spring sky is indeed a wonderful sight. Hope your weekend is going great. Sure is thanks. You too!